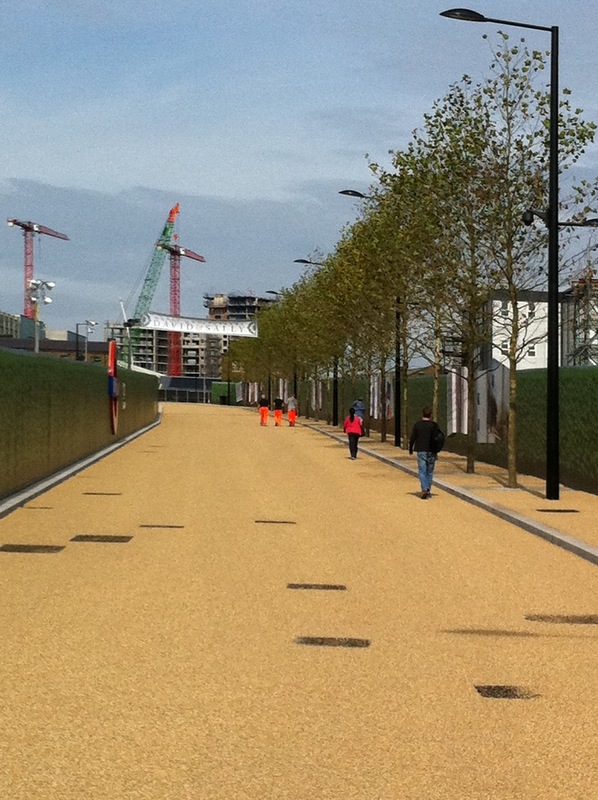 This road through a building site emerged last week to coincide with new Central St Martin’s site. It’s a stage set boulevard with twenty mature trees and what looks like a real road in between buildings waiting to be designed. What is the connection between the opening of Westfield in Stratford and the closure of Gaby’s Salt Beef Bar in the Charing Cross Road?